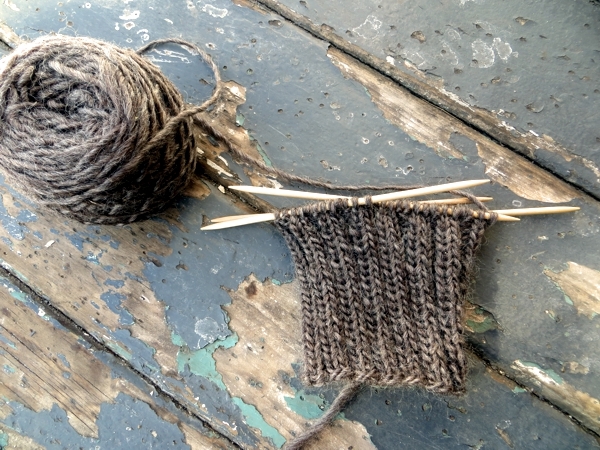 This is a great day to notice whether or not knitting has taken over your life. You know how you can tell? If you're looking at all the bright colours and fun accessories in store windows and online shops, and mostly thinking about what will match your knits, it has. If you are One Of Us, you will have noticed that this phenomenon happens with every new season. 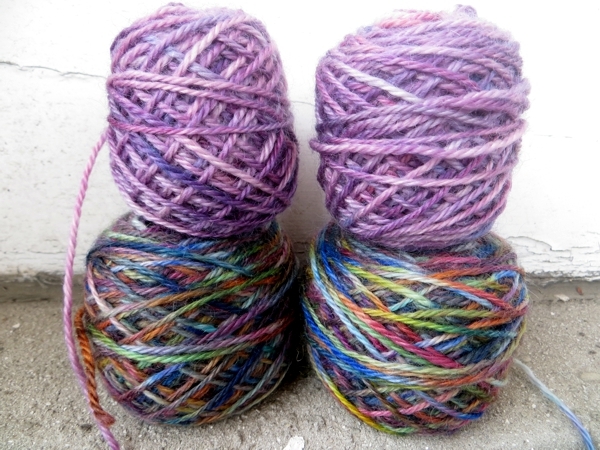 Knitters still see four phases in the year - they just look... a little off balance. Forget air conditioning or long swims in the lake or shelter in the shade. 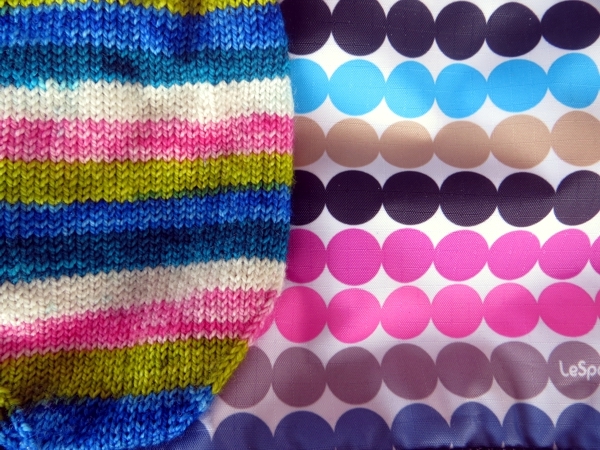 We know the real way to stay cool: by knitting very thick, warm socks and thinking about the wintry-cold toes to be comforted by them. 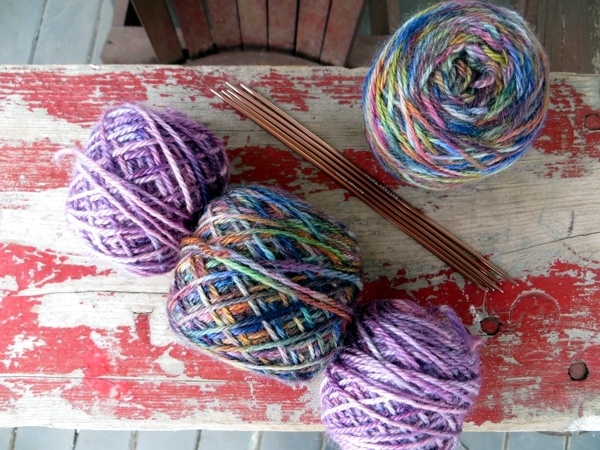 If we're not knitting presents for other people, we're inspiring envy and longing in them, because even if the yarn is undyed and its value extremely understated, we're still making what everybody wants to have and no money can buy. Unless, you know, you're willing to sell your stuff. This is when the temperatures and damp that felt cold in the fall are transformed into 'balmy'. Sweaters are too much - we want to be free (if a bit shivery as a cloud passes over the sun) in unadorned tops. Hats and heavy mittens are long gone, stuffed onto the shelf and out of our minds. 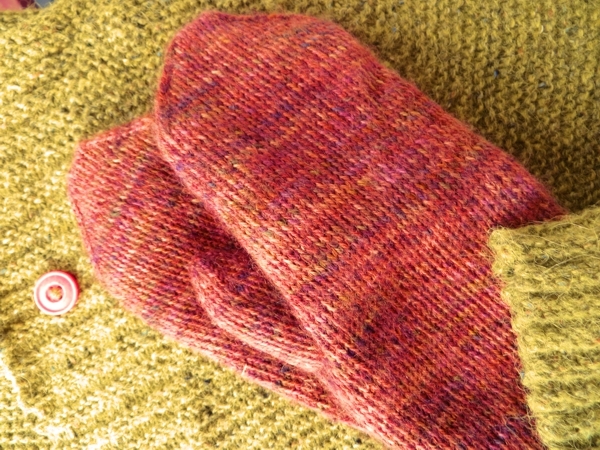 Handknit socks are okay only if lightweight and light-coloured, never mind patches (or towering slow-melting heaps) of snow on the ground, because at last we are united with our comrades the non-knitters: SO TIRED OF WINTER. This is also a good time to look at a nice new purse, because the only thing knitters love more than yarn is something to carry yarn in. In spring the stores are jammed full of bright shiny new bags, which knitters will assess for their knit-carrying potential and then, if that passes muster, any other attractive features. 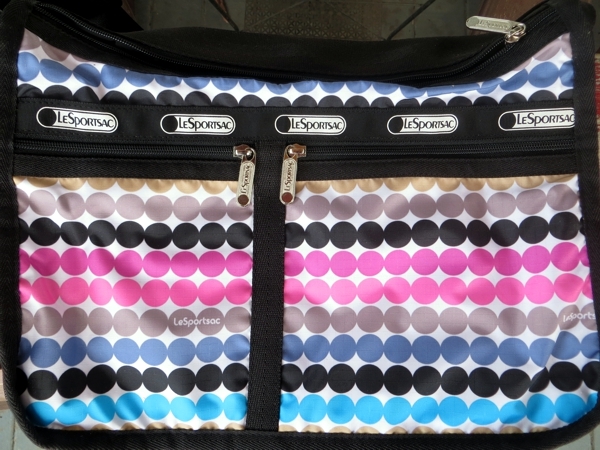 I caved in on a Lesportsac Deluxe Everyday Handbag, myself. It's super lightweight, has loads of room for handsfree knitting (thanks to the shoulder strap being long enough to go cross-body), has a zip-out expansion thingy for stuffing a bigger project inside, and honestly. Polka dot stripes? So perfect for Vesper socks. What's your weakness on this first day of spring?